Refresh breath and strengthen gums which tend to bleed. Weleda’s naturally powerful plant-based ingredients help your mouth stay healthy, and toughen sensitive gums. A mouth that’s out of balance means sore and bleeding gums, nasty tastes and bad breath. 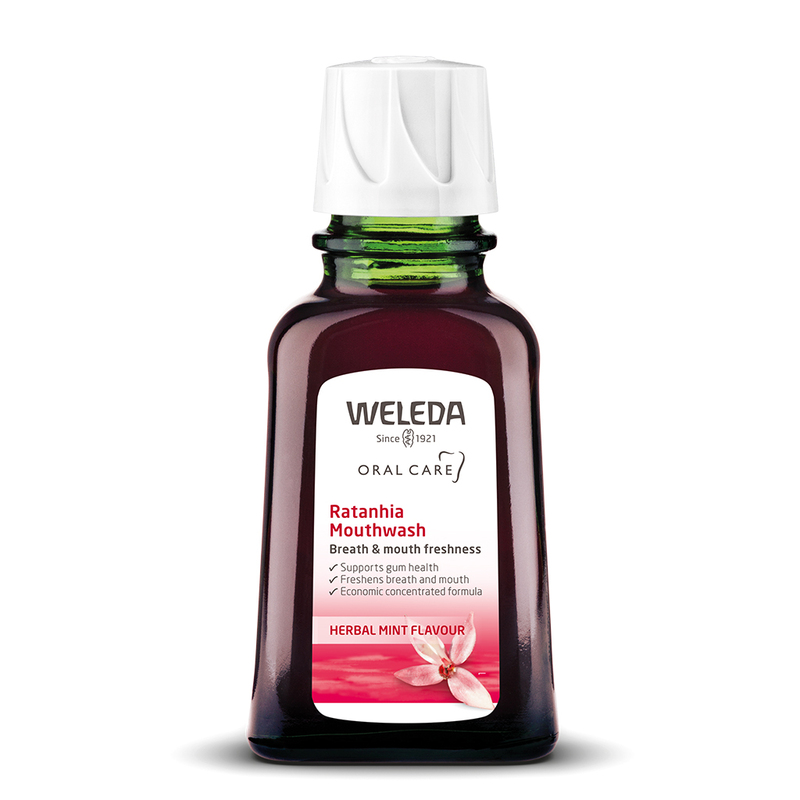 Ratanhia roots, gathered from organic producers in the Andes of Peru, are blended with precious myrrh to tone, strengthen and tighten the gums and to prevent irritation. Natural essential oils of sage, eucalyptus and peppermint deliver lasting freshness. Rinse and spit, and get your breath back. For daily use. Add 5 to 10 drops to half a glass of lukewarm water. Rinse the mouth well and/or use as a gargle. Highly concentrated, one bottle makes more than five litres of mouthwash. Found this after having dental work done and was advised to stay away from regular mouthwashes. Amazing product, a little goes a very long way and tastes great! !